Student apartments 3 minutes from UC's campus opening Fall 2019! Only 200 steps to campus, The Deacon is the closest off-campus, private student housing to University of Cincinnati. The community offers a resort-style pool, 6-story parking garage with covered parking to protect your vehicle from weather and eighteen private study lounges for private or group study. Living at this pet-friendly community means you have access to a dog park + pet spa as well as the market’s only jam lounge + music rooms, golf simulator + putting green, arcade lounge and green space + hammock lounge. The Deacon named by UC students, includes one- to four-bedroom apartments, each bedroom with its own bathroom, and features 17,500 square-feet of customized amenities. The Deacon is home to FitLife, the market’s only student health + wellness program and U Life, a residence life program with monthly social, community and academic events and gift deliveries.  The Deacon team understands that a student’s living environment has a key impact on personal development and makes it their goal to ensure that each student is more successful by having lived here. Cincinnati's newest luxury student housing. We accept cats, dogs, birds, and fish. We don't have a weight limit for dogs, but do not allow the following breeds or mixes of these breeds: Pit bulls, Rottweilers, Doberman pinschers, Chows, Akita, German shepherds, Airedale terrier and Staffordshire bull terriers. Also, all birds must remain caged at all times and fish tanks can't exceed 30 gallons and must be cleaned regularly. Pet fees do apply, please inquire at the leasing office for specific details.